Designed by Takenouchi Webb, this latest F&B venue at the Asian Civilisations Museum – a notable Singapore landmark that has itself also recently received two contemporary gallery extensions – takes full advantage of its historic surroundings and connects interior and exterior dining spaces via subtle design gestures. Overall, the project is a deliberate departure from, though not a rejection of, the conventionalism of traditional Chinese dining. Facing out to the Singapore River, EMPRESS quietly celebrates the classical features of the Asian Civilisations Museum building. Takenouchi Webb’s deliberate decision to embrace the heritage facade of the museum allows the restaurant to sit comfortably within the existing fabric of the building, and integrate the historic museum facade into the overall design approach. The restaurant spaces – the 86-seat indoor dining area with a large bar and a 14-seat private dining room – spill out seamlessly onto the alfresco dining terrace overlooking the Singapore River and display a controlled balance between the colonial references of the museum, the more contemporary restaurant features and the traditional aspects of a Chinese restaurant. 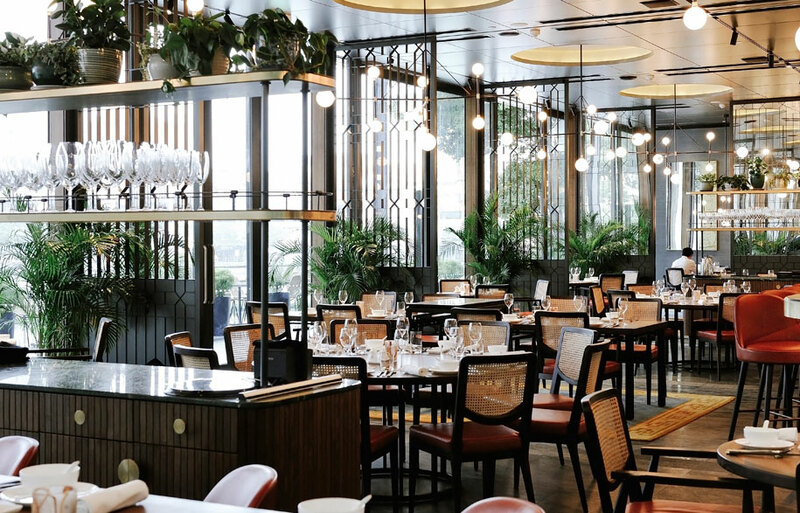 The designers kept the traditional Chinese influences to a minimum, bringing them out in a controlled manner in the form of decorative screens and in the details to be found on the furniture and at the bar. The team also used materials like marble, brass, timber and rattan to subtly reference the colonial history of the building. The resulting look – a sleek, modern interior with historic undertones – is a fitting addition to the Asian Civilisation Museum.